Soft Leather Like Storage Case with Hook and Loop Closure. 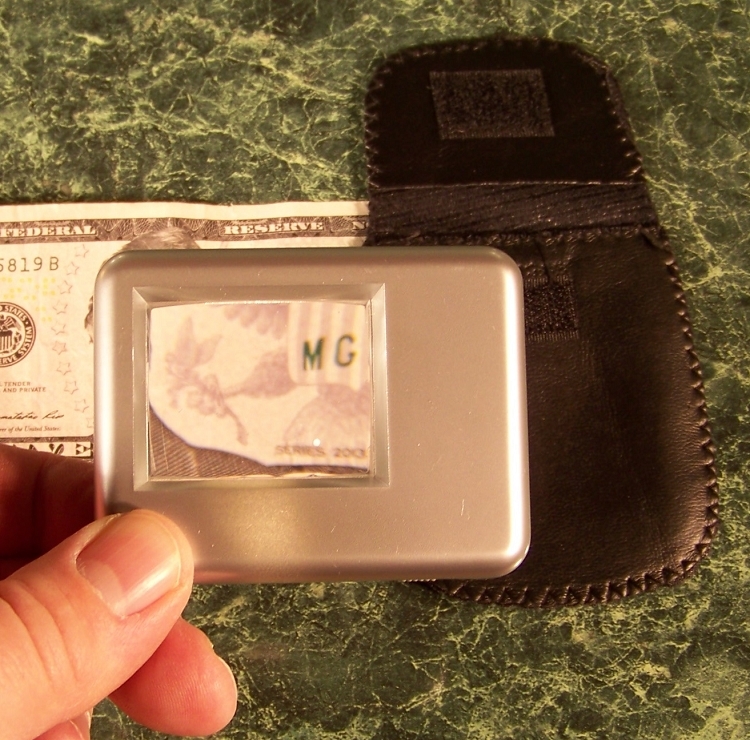 Great for Stamp and Coin Collecting, Reading the small print! and much more, even just for fun! 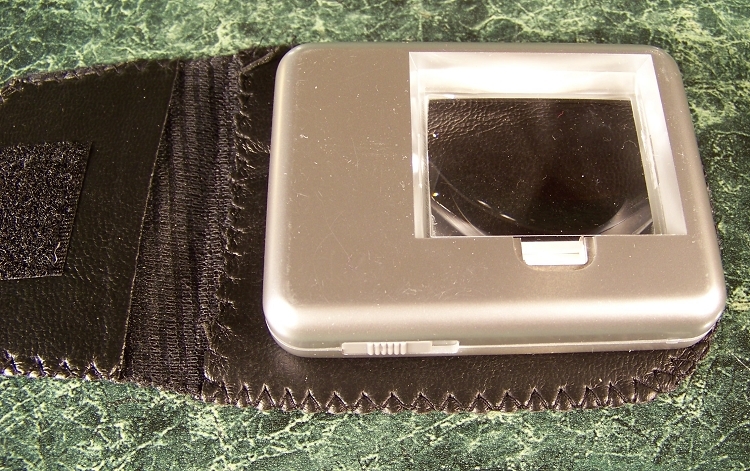 Picture without the hand in it is the back of the unit showing the light and on / off switch.